The 2016 BAFTAs take place in London on Sunday at the Royal Opera House and here is the full list of this year’s winners. Hosted by Stephen Fry for the 11th time, the 69th annual BAFTA Awards ceremony honor the best in movie-making from the past year. See the winners list below! 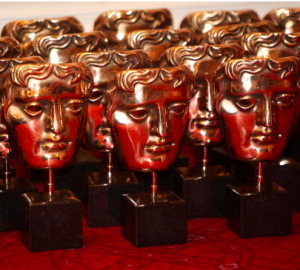 The winners for the BAFTAs are chosen by the British Film Academy. Leading the pack this year with the most nominations areBridge Of Spies and Carol, with nine nods each. The Revenant is right behind with eight nominations, followed by seven award-nominee Mad Maxy: Fury Road,The Martian and Brooklyn with six nominations, and The Big Short, Ex Machina, and The Danish Girl are all tied with five nods. For the most part, the BAFTAs are much like the Academy Awards with several of the same films, actors and actresses up for the top awards. Similarly, trophies are handed out for such categories as best director, adapted and original screenplays, cinematography, sound, editing, and costume design. Unique to the BAFTAs, however, are a few awards, including Outstanding Debut by a British Writer, Director or Producer, and the Rising Star Award, for which Brie Larson, John Boyega, Taron Egerton, Dakota Johnson, and Bel Powley were all nominated. Check out the full list of BATFAs awards winners below.